One foggy spring morning in 1978, I walked along the long wooden dock in ‘Yalis (Alert Bay), Cormorant Island, BC, looking for the seine boat that would take a group of teachers and myself through Johnston Strait to Hansen Island where we would explore the seashore. For millennia, the oceans, mountains, and forest of this region have set the stage for the rich cultural history of several First Nations in this region, collectively known as the Kwakwaka‘wakw—those that speak the Kwak’wala language. I had recently published a field guide to the seashore, Exploring the Seashore in British Columbia, Oregon and Washington (1978), and had been asked by Ga‘axstalas (Flora Cook), the principal of the local school, to conduct a two-day beach workshop with North Vancouver Island teachers. The workshop would include a beach walk and talk. I came equipped with my camera, plankton net, several binoculars, and a backpack filled with identification guides. I expected 15-20 teachers, and was surprised when 35 or so very cheerful local folks walked onto the boat, including children, teenagers, parents, and grandparents. The captain, who was a local fisherman of Kwakwaka‘wakw ancestry, explained that he had invited members of his family to hitch a ride from ‘Yalis to a nearby island location. As the seine boat chugged out of the harbour and began the two-hour trip through Johnstone Strait, the fog lifted revealing breathtaking views of snow-capped mountains in the distance, and a magnitude of islands, quiet coves and winding waterways. Just as spectacular as the landscape was the amazing diversity of life found in tidal areas and offshore waters. The abundance of food attracted a diversity of water birds, as well as dolphins, harbour seals, sea lions, humpback whales, and killer whales. Although the population has dwindled, the area continues to be home to the largest number of killer whales on the planet. All went as planned until someone yelled, “killer whales on the starboard bow!” Immediately, the captain turned the seine boat in the direction of the 30 or more whales, then slowed the engine as we neared the pod. I grabbed my camera hoping to get some spectacular photographs when suddenly several of the captain’s relatives yelled, “Uncle Jimmy! Uncle Jimmy!” At first, I thought that Uncle Jimmy had fallen overboard, but I could not see Uncle Jimmy anywhere in the water. Surprisingly, there was much laughter and cheering, with several people pointing to a single majestic killer whale. I had no idea of what was unfolding. A kind elderly lady tapped me on the shoulder and explained that Uncle Jimmy had passed away the previous year. Uncle Jimmy was an important Elder in the village. Before he passed, Uncle Jimmy said that when he died, he would become a killer whale. They would know him because he would be bigger and more powerful than the other killer whales, and he would rise higher in the water. There was no mistaking Uncle Jimmy. One of the most impressive features of a swimming pod is the size of the dominant bull’s dorsal fin that sometimes stands taller than a man. I recall this incident here because it has both a real and a symbolic bearing on most of what I shall present. Geographically speaking, ‘Yalis is not very remote anymore––starting from Victoria, one can drive the Vancouver Island highway to Campbell River, then through a mountain pass to Port McNeil in about 10 hours, then take a small ferry to Alert Bay (‘Yalis), located on Cormorant Island—altogether a journey of 10 to 12 hours. Culturally, the voyage is considerably further, for it involves a long journey across cultures and through time and history, or backwards through several centuries of our own culture––in my case, of German and Dutch descent. Because a journey across continents or oceans is so easy, we tend to forget the real distance that separates us and assume that the cultural journey too will be easy. On that day, no further mention was made of the significance of Uncle Jimmy, but I was wondering what others were thinking while we watched the whales and I supposed that they were wondering about my thoughts too. I had gone to ‘Yalis with the intent of sharing the knowledge and love that I have of intertidal organisms and ocean life. However, the knowledge, wisdom and inspiration that I received from the Kwakwaka‘wakw over the next 38-year period of working with teachers and Elders from the community, seems far more valuable than the knowledge that I shared with them. It is good for us to realize that cultural distances exist within this country we call Canada. The continuing struggle to achieve opportunity and equal justice for all critically depends upon our ability to provide rich and culturally appropriate educational opportunities for all students. We are finding that this is a tricky business not only because of the resources it requires, but because it involves us in an effort to explore and respect cultures whose existence most of us have given too little attention. Against this backdrop, let us consider a few of the problems that can arise in teaching science to children whose view of reality may be different from that of a science teacher steeped in Western Science (WS). We like to think that properly taught science will give us understanding of the real world, but which “real world?” People everywhere believe they know what is real and what is not, and most of them fit their knowledge of reality into a coherent structure of ideas, beliefs, and values that serve their needs. I come from a position as a Euro-Canadian female, with a history of teaching at the elementary, secondary, and university levels, and a focus on science, marine, and environmental education. In this chapter, I outline the concerns I have with how we as educators disadvantage Indigenous students who may hold a worldview that is different from the Western scientifically accepted worldview. An exploration of cross-cultural science begins with clarifying four important terms: constructivism, worldview theory, Indigenous worldview, and Eurocentric worldview. This clarification creates a step towards understanding how children learn, as well as towards bridging Western Science and the science of Indigenous peoples worldwide. Central to research activity in science education is constructivism, which is defined as the social construction of meaning for an individual (Cobern, 1991, 1996, 2000). It is based upon two basic principles: (a) that knowledge is not passively received and that learners build or constructs knowledge for themselves, and (b) learners do not discover truth, but rather construct viable explanations of experience (Wheatley, 1991). In terms of constructivist epistemology, we interpret our reality through symbolic conceptual filters and sensory experience; “Children try to make sense of their world through active exploration of their environment and social interchange with people around them” (Atkinson & Fleer, 1995, p. 7). Students approach the world with some degree of mental organization, not a blank mind. Researchers have been able to identify and describe a range of intuitive explanations for specific phenomena, but they have also established that such explanations can be remarkably persistent. Traditional teaching methods focus on assimilation (Aikenhead, 1996; Aikenhead, 2006; Aikenhead & Jegede, 1999). The main goal of science instruction through assimilation is for the teacher to present the correct information that is then reinforced by the textbook and an examination. By contrast, teachers who use a constructivist model of teaching listen to the students’ views without making judgments or trying to correct answers. Knowledge resides not in bulging books, but in individuals, and that knowledge cannot be transferred from the teacher to a student intact. This strategy of instruction encourages students to take risks and develop their own ideas without fear of being incorrect. Thus, constructivism is useful to teachers because it helps makes sense of what children think and how they learn in the science classroom. Simply put, a worldview can be thought of as the way people experience and make sense of the world. Cajete defines a worldview as “a set of assumptions and beliefs that form the basis of a people’s comprehension of the world” (Cajete, 2000, p. 62). A more detailed definition comes from Cobern (2000), “A worldview refers to the culturally dependent, implicit fundamental organization of the mind. This implicit organization is composed of predispositions that predispose one to feel, think, and act in predictable patterns” (p. 8). For example, a teacher who has a Eurocentric view of science might assume that all children have a predisposition to learn science from a Eurocentric viewpoint. Informal learning plays a part in the process of shaping a child’s worldview. The toys children manipulate, TV and books, video games, the activities of the adults that they watch and imitate, the conversations they listen to, the ceremonies they attend contribute to the attitudes, values, and beliefs they develop about nature and natural phenomena. In everything the child does in the science classroom, there is an echo of his or her home environment and culture. The meanings of worldview are crucial to our discussion of Western Science (WS) and Indigenous Science (IS) in the science classroom. Importantly, Aikenhead and Michell (2011) note that the terms scientific worldview and Indigenous worldview are misleading because they create a stereotype of each group; they ignore variations of worldview within both the scientific community and among Indigenous peoples (p. 27). Thus, terms such as a scientifically accepted worldview or a worldview held or recognized by an Indigenous group are more accurate. Although there is great diversity within IS systems, long-resident Indigenous cultures share common features that are valuable starting points for teaching school science. For example, Indigenous people share a strong connection to the land due to their fishing, hunting, trapping, gathering, harvesting, and producing products from their homeland resources. Out of this intimate relationship with the land, they developed a worldview in which humans are interdependent with the natural world. Nature can exist without humans, but not vice versa. Indigenous people learned to work with nature and be part of it; they believe in close, harmonious relationships between humans and nature, rather than humans in control of nature (Allen & Crawley, 1998; Atleo, 2004; Cajete, 1999, 2000; Deloria, 1997; Hampton, 1991; Kawagley, 1990; 1995). Language embodies the way individuals and societies think. Through learning and speaking a particular language, an individual absorbs the particular thought processes and worldview of a people. As Little Bear (2000) points out, Aboriginal languages are for the most part “verb rich” or “action-oriented” languages and are generally aimed at describing happenings rather than objects. Thus, “the languages of Aboriginal peoples allow for the transcendence of boundaries” (p. 78). The categorizing process does not allow for the use of dichotomies such as “either/or,” or “black/white,” or “saint/sinner.” There is no animate/inanimate dichotomy. Consequently, Aboriginal languages allow for talking to trees, birds, and rocks. For Little Bear, “if everything is animate, then everything has spirit and knowledge, and all are like me” (p. 78). Arising out of the philosophy of constant motion is the value of wholeness or totality. “Wholeness is like a flower with four petals. When it opens, one discovers strength, sharing, honesty, and kindness. Together these four petals create balance, harmony, and beauty” (Little Bear, 2000, p. 79). The value of wholeness speaks to the totality of creation, the group as opposed to the individual, the forest as opposed to the individual trees. Wholeness has implications for learning. If a person is whole and balanced, then he or she is in a position to fulfill his or her individual responsibilities to the whole (Little Bear, 2000). One can summarize Eurocentric value systems as being linear, singular, static, and objective (Aikenhead & Michell, 2011; Cajete, 2000; Deloria, 1997; Little Bear, 2000). Singularity often manifests itself in concepts such as the one true God, one right answer, one true science, and the superior importance of a person as an individual. Plants and animals are ranked in terms of higher and lower intelligence. If something is not measured, then often it is not scientific. Reductionism describes a general approach to scientific thinking that assumes scientists can understand “the structure and function of the whole in terms of the structure and function of its parts” (Irzik, 1998, p. 168). They investigate the parts to try to explain the whole. This is the dominant theory that became grounded in academia and is in opposition to the more holistic and integrative traditional thinking widely favoured by Indigenous peoples. The Indigenous worldview sees people, plants and animals, the land and water, and living resources as elements of a conscious spiritually connected whole. In contrast, WS approaches seek greater understanding through breaking apart the whole and analyzing or reducing it into its smallest parts. These cultural differences can create confusion for students in classrooms dominated by a WS perspective. In order for students to appreciate meaning systems and the processes of knowledge construction in another culture, the two cultures must come together and exchange worldviews. Teachers must work towards an understanding of the prior ideas and beliefs of their students, and assemble a tool kit of teaching methods that enables all students to explore their own assumptions and search for meaning on all sides. Since students bring to the classroom ideas based on prior experiences in their physical and cultural world, these ideas or beliefs affect the ways students respond to and interpret instruction in science. For example, if a child thinks the phenomenon of electricity is about electricity being alive and attacking people to shock them (the beliefs some children have), then any learning will be interpreted in this way, yet this mini-theory is not helpful in understanding how electricity works. Knowing that children think this way will help teachers plan, listen, ask thoughtful questions, and pay attention to the children’s thinking during instruction (Fleer, 1999, 2007). Ice formed on a pond in winter has been added the way that we add ice to a drink (p. 11). The same weather goes around the world and we get it when it is our turn (p. 12). Magnets stick to objects because they have magical powers or some kind of glue (p. 14). Night happens because the sun has gone to Australia (p. 15). Research evidence reveals that understanding is a continuous process that goes on through life as the brain develops the neurological connections needed to make sense of experiences (Greenfield, 2000). Think of the different understanding a 6-year-old, a 15-year-old, and a 29-year-old research scientist would have for temperature. From birth onwards, children react to the temperature of their environment. Young children (ages 5-6) tend to think of “heat” and “cold” as particular substances that flow in and out of materials, like a river. Children have difficulty thinking of heat and cold as parts of the same continuum. They have even more difficulty thinking in terms of the more abstract kinetic theory that explains heat is a form of dynamic energy or molecules in motion. Five and six-year-old children tend to think that water is magical––the water just disappears. Young children rarely are exposed to the idea that water changes from a liquid to a gas. Some children visualize a cloud as a sponge, letting out water through its holes as a result of wind moving the clouds about. Later, some children (aged 11-15) know that clouds are created when vapor becomes cold, and that rain falls as a result of water droplets becoming big and heavy. Many of the ideas illustrated here relate to Western Science and what children from a western heritage background may say or think (Fleer, 2007). Although Indigenous children worldwide have many ideas in common, and many ideas that are different between those cultures, major differences between Indigenous and Euro-American and Euro-Canadian children have also been documented. Children of Indigenous cultures, e.g., the Māori in New Zealand, Australian Aborigines, African-Caribbean, African-American, South African, Native American, and Inuit may have very different beliefs about the concepts of time, life cycles, seasons, growth, death, taxonomy, heat, energy, evolution, tidal cycles, weather (lightning, hurricanes), day and night, and causation (Davis, 2009; Fleer, 1999; George & Glasgow, 1989; Jegede & Okebulola, 1991; Mahapa, 2002; Ogunniyi, 2000, 2007; Okere, Keraro & Anditi, 2012; Pabale, 2006; Snively, 1990, 1995). 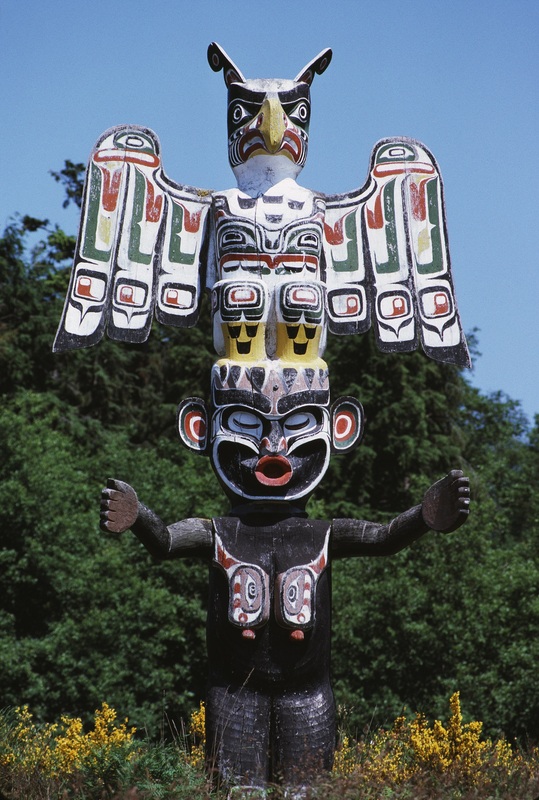 Figure 8.1 ▲ Memorial pole by master carver Hilamas (Willie Seaweed) portrays Thunderbird and Wild Woman of the Woods, Dzunuk’wa ‘Yalis, Alert Bay. Photo by Gloria Snively (1982). Traditional spiritual or teaching stories typically portray animals as fellow creatures. Humans are not separated from nature, but are connected with it. “Everything is one” (Atleo, 2004, p. 117) means a holistic network of spiritual relationships exist (Figure 8.2). Figure 8.2 ▲ School students march in full regalia. Salmon Festival, ‘Yalis, Alert Bay. Photo by Gloria Snively (1982). Saanich (Straits Salish) shellfish harvesters watched the crows on the beach closely; if the crows stopped coming down to the beach to forage for food, the Saanich people stopped their own foraging, assuming that the shellfish would not be safe. (Elsie Claxton, personal communication to Nancy Turner, 1990 ). According to Lil’wat scholar Wanosts’a7 Lorna Williams, “It is not so much that the crows themselves give the harvesters a message, or that the seagulls knowingly show the fisherman the way home, but that humans can learn to ‘read’ signs in nature and abide by their stories” (personal communication, December 2012 ). Although considerable research into children’s thinking about science phenomena has been conducted, Fleer (1999) points out that this research has largely been carried out from within a WS perspective. The conceptions being sought are those that relate to WS. Those views that do not fit within a western framework are labelled as “errors,” misconceptions, or alternate conceptions, and may exclude other worldviews from being considered in ways that are equally valid. Partington and McCudden (1992) argue that Indigenous children know a great deal, however it is difficult to tap into their understandings because of the western focus on verbal explanation through the use of “how” and “why” questions. This is supported by Fleer’s (1997) study into rural Australian Indigenous children’s understandings of night and day. When children were asked on a one-to-one basis a series of questions about their understandings of night and day, very little Indigenous Knowledge was evident. However, when children were interviewed in a group, children’s responses were much richer and more readily given. Similarly, Snively found that when Kwakwaka‘wakw children were interviewed using metaphor choices and student drawings, (1986, 1990), children’s responses revealed much richer knowledge and were given more freely. Although the number of research projects into children’s prior beliefs about nature has grown significantly over the past four decades, there have been scant studies into the beliefs and values of Canadian Aboriginal students. With regard to science teaching, the link between a community’s perceptions of science, its values and beliefs in concert with or in opposition to WS, and the pre-conditions and worldviews which occupy the minds of children entering the science classroom, are some of the features of a culture which interact with the content, teaching methods and forms of assessment of the science classroom. The task of reconciling different and sometimes incompatible ideas poses challenges for some children from cultures in which WS does not play a central role (Aikenhead, 2006; Cobern, 1991, 2001; Stanley & Brickhouse, 1994, 2001). So how can teachers talk about spiritual ideas in the science classroom? How can teachers help students who hold spiritual beliefs about nature learn in the science classroom? These questions seem almost too absurd to ask, but think—when was the last time you spoke to colleagues about how these students learn? A key aim of school science has been to enrich students’ lives by conveying how scientists understand nature. Many science education professors and teachers have interpreted this aim as getting students to think like a scientist. However, this assumed superiority of WS limits the range of ideas, perspectives, and ways of understanding and experiencing nature. Research shows that science teachers also possess a strong allegiance to WS and the values and attitudes associated with it (Aikenhead, 2001; Aikenhead, 2006). For many students, the attempt to convey how scientists think has not been successful as some students may resist, or because of their worldview, have difficulty relating to a WS mindset. These students often experience school science as a “foreign culture” and feel alienated by it. In fact, they comprise a very large majority of students in a typical classroom (Aikenhead & Michell, 2011). they may reject their original perspective and those put forth by others, and instead adopt an alternative which goes beyond any of them (as cited in Binda, K. & Calliou, S., 1999, p. 15). The experience that Indigenous students may bring from home or community is quite different, and if they are exposed to only one worldview, it can lead to disregarding their own worldview in the classroom. Hence, none of these alternatives are likely to lead to interesting and engaging experiences in the science classroom, which may help explain the low participation rates of Indigenous students in upper level science courses and science-related careers. If, on the other hand, teachers expose both Indigenous and non-Indigenous students to other worldviews, all students may draw strength from both, and develop new ideas and new problem solving skills. As such, there may be a fifth alternative beyond those proposed by Driver and Oldman, students could retain their own cultural worldviews, come to understand a new worldview (the WS worldview), and learn when each worldview is useful and for what purpose. A discussion of how such adaptations take place is provided by Aikenhead and Jegede (1999), who recognize transitions from a student’s life-world into the world of the science classroom as “cultural border crossing” (p. 271). The smoothness of this transition determines the degree of science learning achieved by the student. If the transition is smooth (when the culture of science harmonizes with the student’s worldview), then science instruction will support the student’s worldview, and a process of “enculturation” tends to occur. However, if the culture of science and the student’s worldview are at odds with one another, science instruction will tend to disrupt the student’s worldview, “trying to force that student to abandon or marginalize his or her life world concepts and reconstruct in their place new (Western) scientific ways of conceptualizing. This process of assimilation can alienate students from their Indigenous worldview culture causing a range of social disruptions” (Aikenhead & Jegede, 1999; Aikenhead, 2006, p. 271). Alternatively, assimilation teaching methods can alienate students from science, causing them to develop clever ways (school games) of passing their science courses (memorizing) without learning the science content, or simply coping, which can include passive resistance behaviours such as silence, evasiveness and manipulation (Atwater, 1996). Rather than replicate the predominance of WS in the classroom, we must come to see that there are multiple legitimate ways of knowing that must enter the science classroom. The epistemologies and science of tribal nations have enabled them to live a good life in their home territories for thousands of years, and this knowledge is relevant to contemporary science learning (Atleo, 2004; Battiste, 2000; Cajete, 1994, 1999, 2000; Corsiglia & Snively, 1997; Kawagley, 1990, 1995; Kawagley et al., 1998; Snively & Corsiglia; 2001). These authors maintain that every effort has to be made to assist students to negotiate the science being taught with the students’ life-world culture, including their first language. Language is by far the most significant factor in the survival of Indigenous knowledge systems, and contains within its grammatical structure the values and teachings of the people that construct them (Armstrong, 1995; Battiste, 2002; Snively & Williams, 2008). An exploration of cross-cultural science begins with an understanding that conflicts often arise when we translate from one language to another. The culture of WS is to classify the world according to biotic (living) and abiotic (non-living) systems based upon specific criteria that involves exchange of gases, reproduction, etc. The Linnaean worldview categorizes plants and animals according to physical structures (vertebrate, warm-blooded, bears live young, etc. ), genetics, and position on the evolutionary tree of life. It further places plants and animals into families. For example, all plants having similar characteristics to the carrot are placed in the carrot family. Within these categories, the world is assumed to be equally and neutrally classified. The teaching of these categories is conducted as if they were separated or removed from their derived cultural background. Indigenous people classify plants by describing what part of the plant can be used for food or medicine or shelter, etc. during a particular season. The reason plants are classified this way is that if one were lost in the woods, knowing the use of the plant for food would be more useful than knowing the family to which it belongs. An example of what gets lost in translation is illustrated when we identify an animal, such as a killer whale as Orcinus orca (toothed whale) or a plant, such as a western red cedar as Thuja plicata (folded in plates)—the phrase “folded in plates” is Greek and refers to the arrangement of overlapping leaves. The Linnaean worldview is useless in the context of survival based on knowledge of the diverse use of which is embedded in many stories, legends and prayers about killer whales and cedar trees. In some Indigenous cultures, the important question to ask is “Who is killer whale?” or, “Who is Grandmother Cedar Tree?” The western red cedar is called Simgan in the Nisga’a language and means “royal tree,” just as SimGigat means “royal people.” In the Kwak’wala language, the killer whale is known as max‘inuxw which translates into “side by side,” and refers to their family grouping and the way they travel. The cedar tree is known as Dana’mas, “the tree of life.” Amongst Indigenous people where ever the cedar tree grows, it is considered a gift from Creator because it provides so much to the well-being of the people: homes in both winter and summer, cooking pots and implements, carrying and storage containers, canoes, water-proof clothing, mats, bedding mattresses, ceremonial regalia, medicine, spiritual practices and infant cradles. Killer whales and cedar trees are held in high respect and are considered to be people, just like us, except that they are much more generous (Snively & Williams, 2008, p. 114-115). For Indigenous students familiar with the myriad of images and concepts associated with killer whales and cedar trees (as with salmon, wolf, raven, bear, frog, butterfly, and rocks), this feeling or state of balance is at the heart of Indigenous Science. These ideas are very different from the ideas and concepts that science teachers want students to associate with Orcinus orca or Thuja plicata. Clearly, the talk in science classrooms involves a specialized use of the English language where student are expected to individually construct their own understandings of the concepts and language used. Scientific inquiry in classrooms also favours questioning, explaining, hypothesizing, debating, verifying and sharing results. For many Aboriginal students, these language conventions contravene their social rules of discourse. In Indigenous Science, thousands of seemingly unrelated pieces of information are organized through complex webs and levels of metaphor that are utterly alien to western taxonomies. Both classification systems are valid, depending on the context and purpose for which they were constructed, and thus, both should be presented to students in the science classroom. By exploring both systems, students would better realize the context in how classification systems are designed and the purpose for developing them. By teaching science as if it operates in a vacuum, western cultural hierarchical notions of what is worthy of respect or protection, and what is not, is consciously and subconsciously taught alongside the science. As Western scientists and science teachers rarely address what is worthy of respect and/or sacred, science students are taught about the interconnections of life from a technical point of view, but not from a reverence point of view. A growing number of scientists and science teachers argue that this technical approach to understanding the world is part of the reason why western lifestyles are so destructive to the planet. There are good reasons to engage students in exploring different ways of understanding the world. “Two-eyed seeing” is a metaphor for a guiding principle for one’s journey here on Mother Earth. The principle, put forward by Elder Albert Marshall (Eskasoni Mi’kmaw First Nation, Cape Breton), refers to learning to see from one eye with the strengths of Indigenous knowledge and ways of knowing, and from the other eye with the strengths of western (or Eurocentric) knowledge and ways of knowing, and to use both these eyes together, for the benefit of all (Bartlett, 2005; Bartlett et al., 2012; Hatcher et al., 2009). Such thinking underlies cross-cultural approaches to science teaching referred to as “walking in both worlds,” (Battiste, 2000; Cajete, 1999) “two-way learning,” (Fleer, 1997) “both-way education,” (McTaggart, 1991) and “border crossing” (Aikenhead, 1996, 1997). Using both the holistic IS and a WS perspective would challenge students to process information and solve problems in different ways. Hopefully, this approach would challenge students to respect alternative perspectives and build tolerance for different worldviews. One way for teachers to begin a unit on cross-cultural science is to have the class brainstorm what they know about WS and IS as well as questions they have about the two perspectives. Together, the teacher and students should identify a set of related concepts, such as knowledge of life cycles of animals, migration routes, weather and climate change, how the environment was and how it is changing, and how humans are changing migration routes. The class could be divided into two groups—one group to assume the role of traditional science practitioners researching the knowledge contributions made by IS, and the other group to assume the role of Western scientists researching the contributions made by WS to climate change and our knowledge of changing migration routes. The groups can identify information sources and specific tasks, and begin the data collection process. As students complete their assignments, the teacher can ask each group to list the explanations and interpretations generated by their perspective, and present their findings to the class. In small groups, students could make comparisons, explore similarities and differences as well as advantages and disadvantages, and consider practical applications for combining the two perspectives. A critical thinking approach to teaching science can be used to confront and eliminate racism, ignorance, stereotyping, prejudice, and feelings of alienation. However, designing activities that explore the two perspectives can be a challenge. Teachers need to be mindful that a balanced approach is necessary to reduce stereotyping. WS information is readily available in science textbooks, resource books, films, and the Internet, whereas IS examples may be difficult or impossible to access. In some situations, critical thinking activities can be problematic in that they can create conflicting feelings as diverse worldviews clash. “For some indigenous people, being critical can denote a lack of respect for the other and thus violate relationality, which is based on inclusive relations and acceptance of diversity” (Metallic & Seiler, 2009, p. 125). Thus, both Indigenous and non-Indigenous students must be willing and open to explore their own assumptions; there is a reciprocal relationship and a search for meaning on all sides. Many science educators who possess strong allegiance to the superiority of WS express skepticism regarding the ability of students to produce coherent science explanations from what they learn from both systems. In terms of educational learning theory, students can produce hybridized knowledge from what they learn, creatively combining parts of both WS and IS as a situation may require (Sillitoe, 2007). From the theoretical perspective of Aikenhead & Jegede (1999), students can achieve “secured lateral learning” by holding onto both schemata even though the schemata may appear to conflict (p. 278). Some people who feel more comfortable drawing on only one of the two knowledge systems at a time, depending on the situation, can experience an alternative to hybridized understanding or secured collateral learning. This is called “parallel collateral learning,” when neither knowledge system is rejected (Aikenhead & Jegede, 1999). It seems likely that most of us live for the most part in one worldview and understand to some degree the others. Science teachers need to be open and accepting of students’ worldviews and experiences. Instead of seeing these as liabilities, teachers can tap into the holistic and experiential worldviews of students and treat them as valued catalysts for learning. There is urgent need for more research into the ideas and beliefs of Indigenous children about nature, and how these ideas are supported by students’ culture. Teachers need to know more about worldviews other than the WS worldview they likely developed as a result of enculturation in mainstream Eurocentric society. Teachers need to understand what goes on in the minds and hearts of students when they learn science. Curriculum writers can include this new information into curriculum guides so that two worldviews can become more accessible to both Indigenous and non-Indigenous teachers. It is important to keep in mind the enormous diversity in different communities; hence, curriculum developed for one community may not necessarily transfer to another community. It becomes imperative for us to know our students well for the purpose of building relationships that work, and for the purpose of designing pedagogical strategies that are responsive to, and honouring of, our students’ lived experiences. To enter into relationship with students whose worldview is different from that of our own and to begin to see and understand the world in new ways makes the teaching of science interesting and challenging. It is a worthwhile journey that enriches our lives and that we can enjoy pursuing. Have you had a difficult experience in school science when your ideas and beliefs were different from the standard account of science? What was your experience? Can you describe a cross-cultural science lesson that you have experienced? In your experience, can you describe the culturally related ideas and beliefs of students that are different from Western Science? How might a student with such ideas experience learning in a classroom where only the standard account of science is acceptable? What teaching strategies might be responsive to, and honoring of, the students’ experience? Aikenhead, G. S. (2006). Science education for everyday life: Evidence-based practice. Ways of knowing in science and mathematics. New York, NY: Teachers College Press. Aikenhead, G., & Michell, H. (2011). Bridging cultures: Indigenous and scientific ways of knowing nature. Toronto, ON: Pearson Canada..
Armstrong, J. (1995). Keepers of the earth. In T. Roszak, M. E. Gomes, & A. D. Kanner (Eds. ), Ecopsychology: Restoring the earth, healing the mind (pp. 316-325). San Francisco, CA: Sierra Club Books. Atkinson, S., & Fleer, M. (1995). Science with reason. London: Hodder & Stoughton. Bartlett, C. (2005, November 4-5). Knowledge inclusivity: “Two-eyed seeing” for science for the 21st Century. Workshop on Learning Communities as a Tool for Resource Management (Proceedings pp. 70-76). Halifax, NS. Battiste, M. (2000). Reclaiming Indigenous voice and vision. Vancouver, BC: UBC Press. Binda, K., & Calliou, S. (1999). Aboriginal education in Canada: New perspectives for the 21st century (unpublished). Cobern, W. W. (1991). Worldview theory and science education research, NARST Monograph No. 3. Manhattan, KS: National Association for Research in Science Teaching. Corsiglia, J. & Snively, G. (1997). Knowing home: NisGa’a traditional knowledge and wisdom improve environmental decision making. Alternatives Journal: Canada’s Environmental Voice, 23(3), 22-27. Davis, W. (2009). The wayfinders: Why ancient wisdom matters in the modern world. Toronto, ON: House of Anansi Press. Deloria, Jr., V. (1997). Red earth, white lies: Native Americans and the myth of scientific fact. Golden, CO: Fulcrum Publishing. Fleer, M. (2007). What do children know about their scientific world? In M. Fleer (Ed. ), Young children: Thinking about the scientific world (pp. 5-10). Watson, ACT: Early Childhood Australia. George, J., & Glasgow, J. (1989). Some cultural implications of teaching towards common syllabi in science: A case study from the Caribbean. School Science Review, 70(254), 115-123. Greenfield, S. (2000). The human brain: A guided tour (2nd edition). Guernsey: Guernsey Press. Hampton, E. (1993). Toward a redefinition of American Indian/Alaska Native education. Canadian Journal of Native Education, 20(2), 261-309. Kawagley, A. O. (1990). Yup’ik ways of knowing. Canadian Journal of Native Education, 17(2), 5-17. Mahapa, S. S. (2002). Investigating high school learners’ lightning and electrostatic safety awareness in the Limpopo Province of South Africa. Doctoral thesis, Curtin University of Technology, Australia. McNaught, C. (1993). Which science, which language? In E. McKinley et al (Eds. ), SAMEpapers 1993 (pp. 148-171). Hamilton, NZ: Science Mathematics and Technology Research Center, Waikato University. Metallic, J. & Seiler, G. (2009). Animating Indigenous knowledge in science education. Canadian Journal of Native Education, 32(1), 115-128, 130. Michie, M. (2002). Why Indigenous science should be included in the school science curriculum. Australian Science Teachers’ Journal, 48(2), 36-40. Mqotsi, L. (2002). Science, magic and religion as trajectories of the psychology of projection. In C. A. Odora Hopers (Ed. ), Indigenous knowledge and the integration of knowledge systems: Towards a philosophy of articulation (pp. 158-172). Claremont, RSA: New Africa Books. Okere, M. I. O., Keraro, F. N., & Anditi, Z. (2012) Pupils’ beliefs in cultural interpretations of ‘heat’ associated with anger: A comparative study of ten ethnic communities in Kenya. European Journal of Educational Research, 1(2), 143-154. Partington, G., & McCudden, V. (1992). Ethnicity and education. Wentworth Fall, NSW: Social Sciences Press. Ross, R. (1996). Returning to the teachings: Exploring Aboriginal justice. Toronto: ON: Penguin Books. Sillitoe, P. (Ed.). (2007). Local science vs. global science: Approaches to Indigenous knowledge in international development. New York, NY: Berghahn Books. Snively, G. (1978). Exploring the seashore in British Columbia, Washington and Oregon: A guide to shorebirds and intertidal plants and animals. West Vancouver, BC: Gordon Soules Book Publishers..
Snively, G. (1990). Traditional Native Indian beliefs: Cultural values, and science instruction. Canadian Journal of Native Education, 17(1), 44-59. Snively, G. (1995). Bridging traditional science and western science in the multicultural classroom. In G. Snively & A. M. MacKinnon (Eds. ), Thinking globally about mathematics and science education (pp. 53-75). Vancouver, BC: University of British Columbia Centre for the Study of Curriculum and Instruction. Snively, G., & Williams, L. (2008). Coming to know: Weaving Aboriginal and Western Science knowledge, language, and literacy into the science classroom. L1–Educational Studies in Language and Literature, 8(1), 109-133. Stanley, W. B., & Brickhouse, N. W. (1994). Multiculturalism, universalism, and science education. Science Education, 78(4), 387-398. Turner, N. J. (1997). Traditional ecological knowledge. In P. Schoonmaker, B. Von Hagen, & E. C. Wolf (Eds. ), The rain forests of home: Profile of a North American bioregion (pp. 275-298). Washington, DC: Island Press. Chapter 8 - When Uncles Become Killer Whales: Bridging Indigenous Science, Western Science and Worldviews by Gloria Snively and Wanosts'a7 Lorna Williams is licensed under a Creative Commons Attribution-NonCommercial-ShareAlike 4.0 International License, except where otherwise noted.